NHL News : Habs give Alzner's agent permission to shop him! Habs give Alzner's agent permission to shop him! A new strategy to get rid of the blue liner! 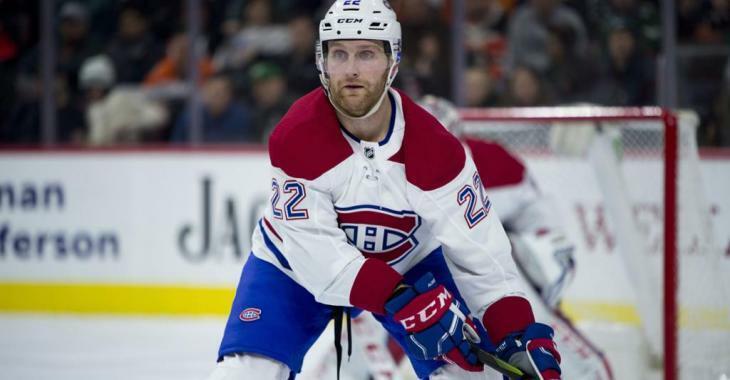 On Tuesday, Montreal Canadiens defenseman Karl Alzner cleared waivers and has been assigned to the Laval Rocket in the American Hockey League. This isn’t what Alzner or Habs general manager Marc Bergevin had in mind when the veteran blue liner signed a five-year, $23.125-million contract as a free agent on July 1, 2017, with an annual salary-cap hit of $4.625 million. The 30-year-old is earning $6 million this season and will continue to earn that salary with the Rocket. Alzner becomes the highest-paid player in the AHL, moving ahead of forward Matt Beleskey, who is earning $4 million with the AHL’s Hartford Wolf Pack after being sent down to the minors by the New York Rangers. It was expected that no other NHL team would claim the 30-year-old defender, however, it does not seem to discourage Bergevin that a trade remains possible as Pierre LeBrun revealed during Tuesday night's segment of Insider Trading on TSN that Alzner's agent, JP Barrie, was given permission by the team to shop his client around the NHL. As he just hit the waiver wire and went unclaimed, we doubt there will be interest for the defenseman, but Alzner's agent could find a team that would be willing to take him on in exchange for another bad contract or if the Habs and Bergevin agree to absorb some of his annual cap hit. Alzner has been mentioned in trade rumors for a while now, and no other team has come calling Montreal with an offer. The fact that the agent is now involved could be a good thing; after all, agents have a gift for selling their players' talents out on the market. In the meantime, the Habs could enjoy watching Alzner mentor young players in the AHL and get the better out of the 30-year-old player, who might be motivated to come back with a vengeance. Alzner has three seasons after this one remaining on his contract. He will continue to count toward the Canadiens’ salary cap, but at a reduced hit of $3.6 million prorated over the remaining 131 days of the NHL season, or for however long he remains in the minors, according to the information provided CapFriendly.com. The Canadiens could eventually buy out Alzner’s contract in the summer of 2019 to obtain a reduced salary-cap hit over a period of twice the remaining length of the contract.